Prepare to be noticed when users take this netbook out on the town. 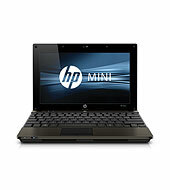 Small, slim and stylish, the HP Mini 110 lets them surf the web, stay connected, and be entertained wherever they go. Amp up the fun by playing videos and music or showing off photos. Crafted with premium materials and powered to perform, the HP ENVY17 3D fuses design with technology to deliver a 3D experience that's unprecedented in a 17" notebook PC to date. Maximize your mobility with the sleek, lightweight HP Mini 5103. Stay productive wherever you go with touch capabilities, flexible wireless options and a choice of productivity suites. Now there's a notebook PC made for the way users play. 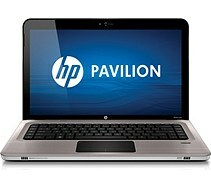 In fact, the HP Pavilion dv6 comes with software that lets them start playing right out of the box.